Thank you everyone who participated! We really received some wonderful entries! 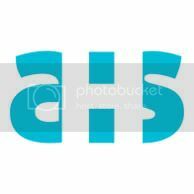 As previously mentioned, we will be using iB1984's logo for the new AHS Cafe on Cafepress! Staff hopes to get the store up and running within a few weeks, so stay tuned for updates! Congratulations again, everyone! See you in the next contest! Last edited by AHS Staff; 16th July 2010 at 04:03 AM. Congratz!! The logo is so clever I like it! it took me while to settle on that design. i'm glad people liked it. i had to say, what i love about the winning logo is how it looks like an ayumi logo as it in reminiscent of the avex logo. Great job everyone! There were a few that I wouldn't have minded as the logo but I did vote for thew winning entry! Although it was announced that there would be no prize for this contest, the staff have decided that we would like to send a CD to the winner. Congratulations! Thanks to everyone for supporting this contest!